tonight and tomorrow on cjsr fm 88.5! i'm happy to present a crossover program combining the respective mandates of imaginary landscapes (ordinarily hosted by caitlin sian richards) and my own program. 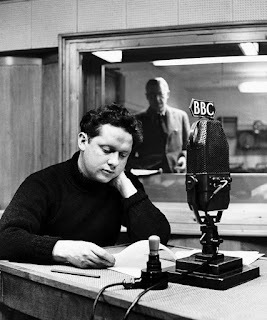 the imaginary grinder will feature a playlist inspired by dylan thomas's character organ morgan, created for his radio play under milk wood. catch the program on tuesday, january 10 at 8:00 pm and wednesday, january 11 at 1:00 pm.